On October 1st 1949 Mao declared the People’s Republic of China in Tiananmen Square. CAUSATION: Analyse the factors that enabled Mao to rise to power in China by 1949. Lynch, The Peoples’s Republic of China since 1949. What problems did China face in 1949? ATL Skills: Thinking – What features would you expect to find in a Socialist State? What methods did Mao use to consolidate his power? The article below is from History Review and compares the rise of Stalin and Mao. Create a table with the problems Mao faced in one column and the actions he took to overcome it in the next. The third column is for a comment on the success of Mao’s action. These are the methods that Mao used to consolidate his power: coercion,terror, political reform, economic reform, social reform, military tactics and mass mobilisation campaigns. For each one give two clear examples of what Mao did to consolidate his power using that method. Were there any other methods? Use the information above to make a comparison between the methods used by Hitler and Mao to consolidate their power. Can you devise a Venn diagram to illustrate these points? Why did Mao launch the Anti-Rightist campaign in 1957? SIGNIFICANCE: Why was the Anti Rightist movement a significant moment in Mao’s rule? Complete a Peel the Fruit routine. Your goal is to explore the factors that enabled Mao to consolidate his power between 1949 and 1957. (i) what actions did Mao take? (ii) what questions have you got? (iii) Perspectives: what different perspectives do we have of the actions taken by Mao to consolidate his power? (iv) Choose 3 actions that he took and explain why he did them (v) How do the actions taken by Mao to consolidate his power connect to what I know about other Single Party State Leaders? Here is an interesting podcast about Lysenko the Soviet geneticist who name is now a by-word for fraud. The Great Leap Forward was characterised by steel production and collectivization, ‘General Steel’ and ‘General Grain’. ATL Skills: Communication – To what extent was Mao’s economic policy between 1949 and 1963 a disaster for China? Create an essay plan for an essay with this title. Use this scaffold to help you. 1. What was the problem that needed to be solved? 2. What changes did Mao make? 3. How successful were they? To what extent do you agree that control of the population was the main motive behind Mao’s domestic policy 1949 – 1961? Decide on the position you would like to take in this seminar. In your teams list the key points of your arguments. Find evidence to support your points in the form or events, historiography or data. What methods did Mao use to restore his power after 1965? Perspective: What are the different perspectives on Mao’s reasons for launching the Cultural Revolution? Consequence: How did the Cultural Revolution impact ordinary people? Consequence: What were the effects of the Cultural Revolution? What were the effects of the Cultural Revolution? Notes from Cesar’s EE research (thanks Cesar!). How did the Cultural Revolution end? Continuity: The Cultural Revolution was part of Mao’s attempt to maintain his power. Look at the reading below and consider what methods Mao used in the Cultural Revolution to strengthen his power. Did he succeed? What was Mao’s Legacy? To what extent did his policies succeed? 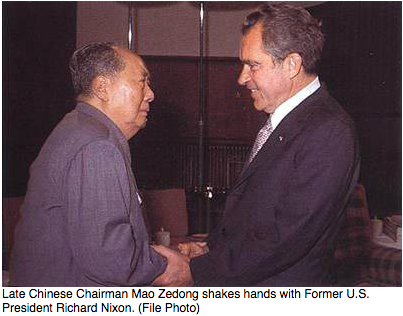 Did China benefit from the rule of Mao Zedong? What big events took place during this time period? Brainstorm a list of major world events from this time period. How do they connect to your list of questions? Do you need to revise the questions? Compare them to the others in your group and decide on a final list of questions that you will find the answers to. Research the answers to your questions. Produce a Pecha Kucha presentation for the rest of the class to showcase your findings. Complete this to enable a quick overview and comparison of the different single party state leaders we have studied. Here is a definition ofTotalitarianism.Here is a past paper question that you need to use a grid like the one above for. ‘The aims and policies of single party state leaders rarely follow their declared ideology.’ To what extent do you agree with this assertion?